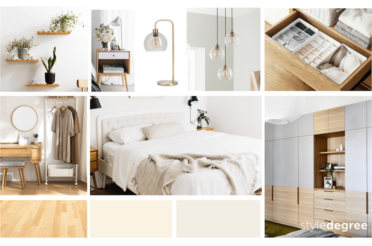 Ask any Singaporean soon-to-be homeowner on what is their perception of a Scandinavian style home, they would most likely say bright, white and wood. 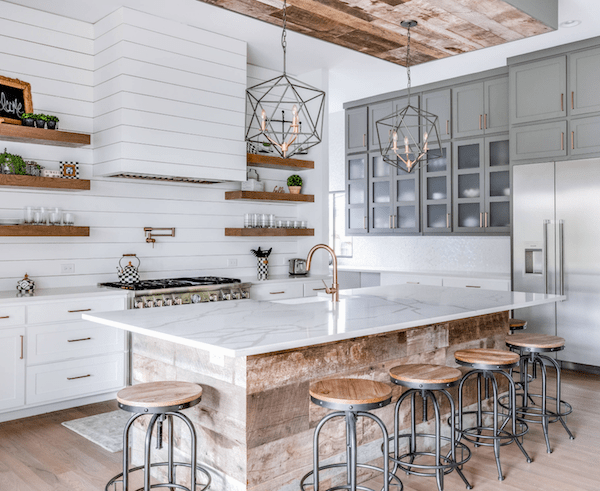 While they are right about these 3 common elements, there is so much more to the Scandinavian interior design style that homeowners should know! 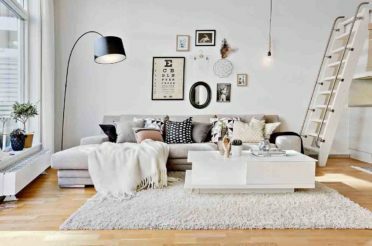 Master all 10 classic elements of the Scandi style so that you can apply them to your new Singapore HDB or condominium home. P.S Stay till the end of the article to get our handy infographic with the 10 elements all summarised! Before that, what is Scandinavian? Here is a little background knowledge for you on where the big word came from. 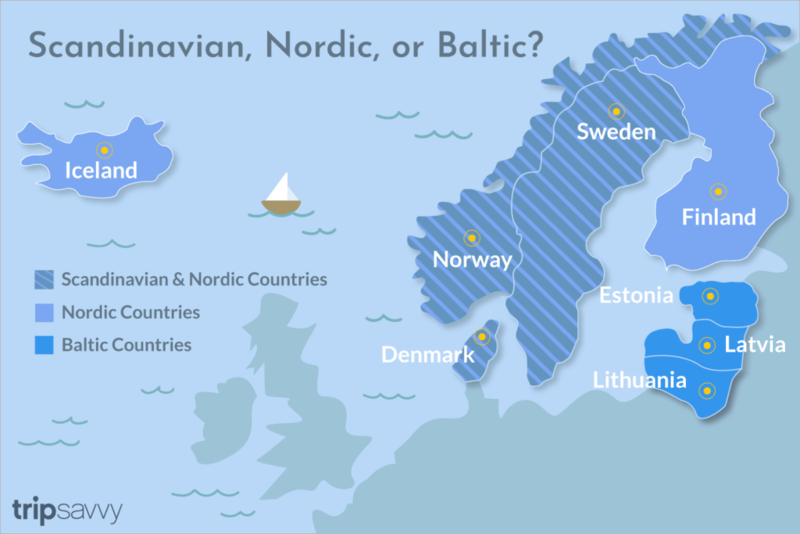 Scandinavia is actually a region which comprises of three Northern European countries, namely Denmark, Norway, and Sweden. Bright, airy spaces where natural light fills the entire house is key to a Scandinavian style Singapore home. In order for natural light to seep through, floor-to-ceiling windows, sheer curtains (usually made of linen) are often used. 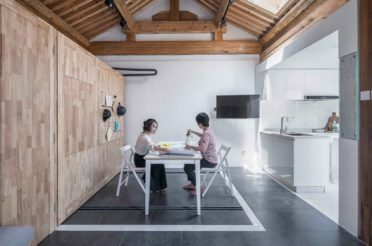 This is an easy way to instantly make any small home, especially HDB BTO and condominiums look bigger! 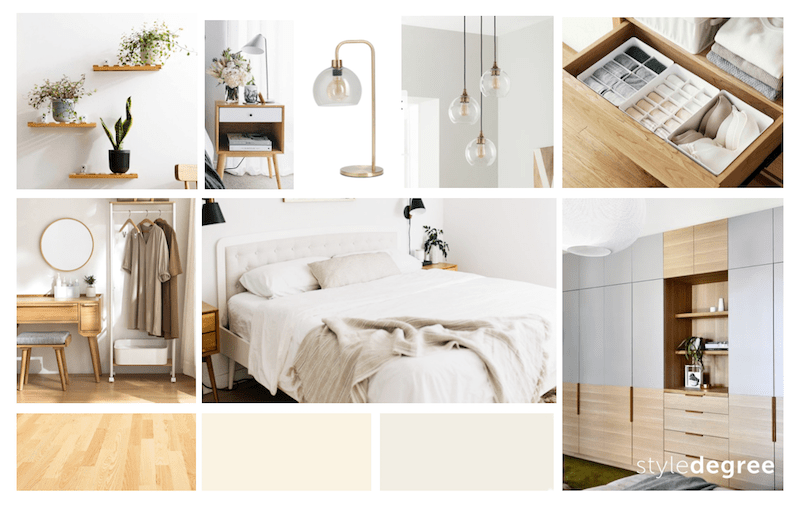 Muted neutrals such as whites, greys and tans make up most of a Scandinavian home colour palette. However, that doesn’t mean that a Scandi home is entirely free from colour – that is a common misconception! Often, pops of colour are incorporated through accent pieces such as metallic pieces. 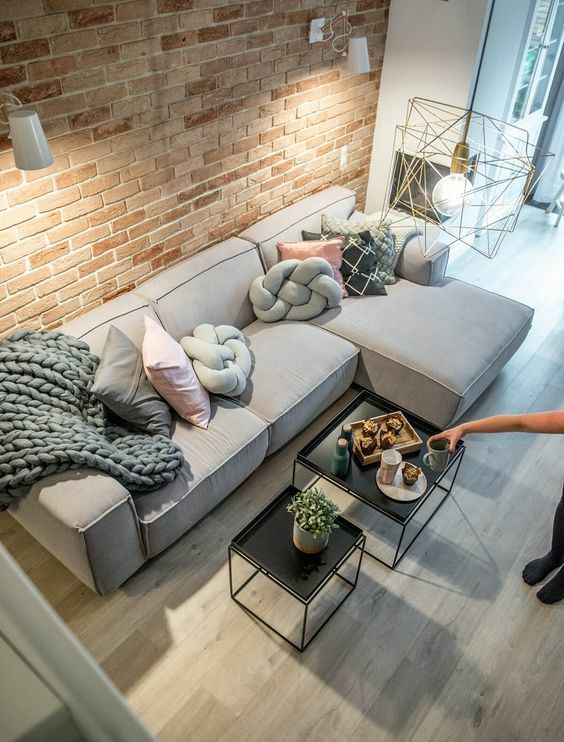 Light wood flooring, wood furniture and home accessories are largely spotted in Scandi homes. 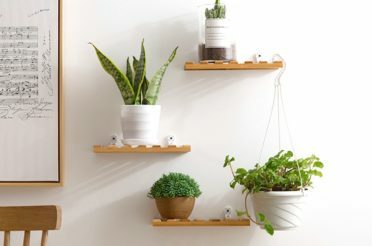 They complement whites very well and brings in a sense of calmness to any home as a natural element. Tip: Go for beech, ash, and pine wood for a lighter tone. Such light wood flooring brightens up your space and makes it look bigger. Scandinavians love for nature and spending time outdoors is also reflected in their interior design style. To them, adding fresh flowers and indoor plants is a simple way to bring the outdoors indoors. Not only that, it can easily double up as a decorative piece. Unlike the Scandinavia countries, streets in Singapore are rarely lined with florists selling fresh flowers such as tulips. Though how we wish there were! Nevertheless, there are still nurseries around Singapore which you can check out during the weekends. 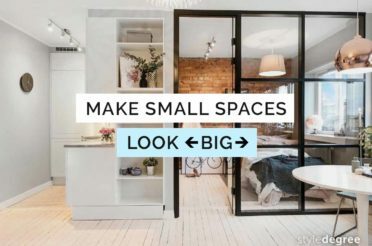 Cluttered spaces is definitely a big no-no in a Scandinavian home. 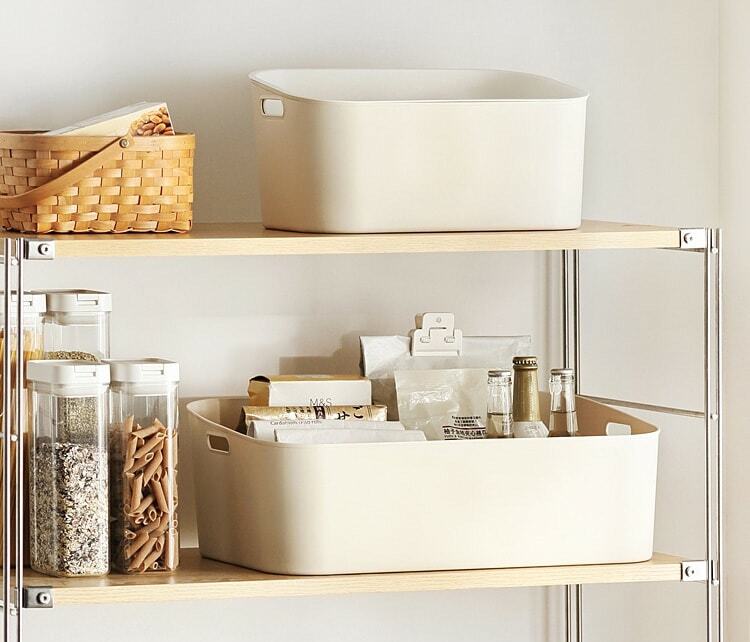 Keeping things organized and clutter-free is important to give off a visually relaxing environment. Simplicity and functionality over extravagance. But that is without sacrificing gracefulness and beauty. For example, pendant lights are often used instead of large chandeliers. Home accessories added to a Scandinavian home always serve a function (e.g storage, organize) while complementing to the overall design. 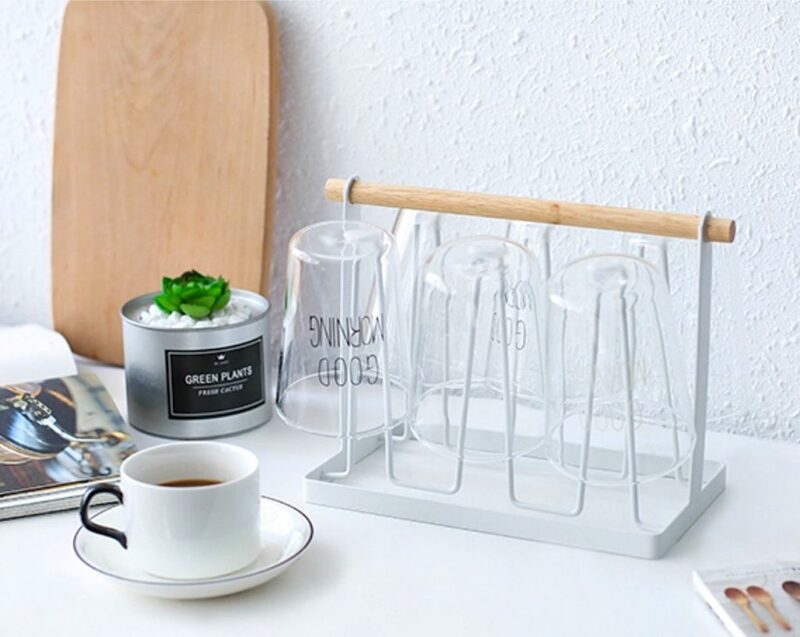 Explore our Scandinavian Home Accessories & Organizers here. Scandinavians experience harsh cold winter which forces them to stay indoors. Hence, having a cosy and warm home is important to them. While this is totally opposite of what we experience in Singapore, a cosy home is still a must to wind down after a hectic day at work. Adding decorative and functional textures such as throws and pillows does well in bringing a subtle hint of texture. A white living area with contrasts coming from a black sculptural coffee table and geometric lights (like the image above) is often spotted in Scandinavian interior design style too. Pops of colour are usually incorporated to a home in this manner! Clean lines, rounded edges and tapered legs are common characteristics of Scandinavian furniture. 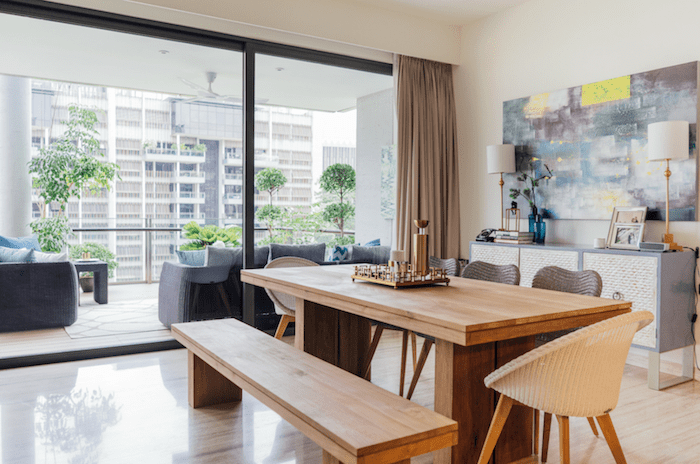 Clean lines give off a feeling of spaciousness which makes it suitable and attractive for Singapore HDB and condominium homes. Scandinavians love hosting friends and family at home as it is their way of celebrating their hygge way of life! Therefore, a large or extendable dining table coupled with extra chairs/stools are commonly found in Scandi homes. Similarly, Singaporeans love hosting friends and families over a spread of mouth-watering food during festive occasions such as Chinese New Year, Hari Raya, Christmas. More often than not, homes are equipped with additional stools/chairs to accommodate guests. We know, 10 elements might be a handful to remember. Hence, we have created a super handy infographic to have the elements summarised in bite-size! 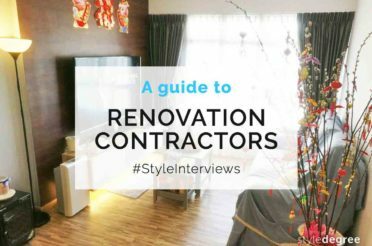 For more home inspiration and organization tips, follow us on Instagram (@style_degree), Facebook (Style Degree) or join our Telegram Channel (Homeowners SG).